Please consider shipping costs as well when planning your purchases — this is why I’ve also provided Amazon links as Amazon often ships free, while Montessori retailers can have a minimum purchase required before free shipping becomes an option. 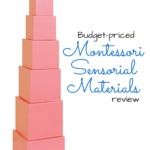 Really, if you only have one Montessori Sensorial Material, I hope you choose the Pink Tower. 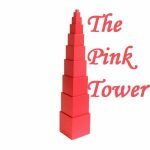 The Pink Tower teaches orderly process, cubing, care of materials, sequencing, visual discrimination, encourages children to consider their hand placement and grips based on differently sized objects, and baric (weight) discrimination. 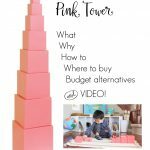 You can DIY the Pink Tower, but unless you already have access to the carpentry tools or are splitting the costs with friends who are also wanting their own pink towers, I’d suggest purchasing this. 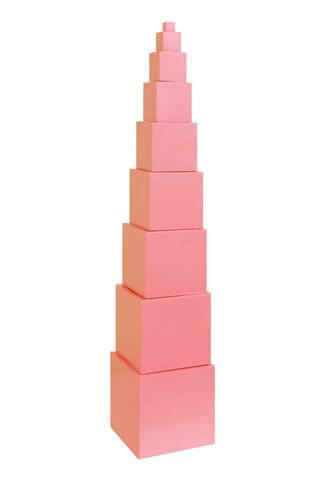 Check out my review of my Pink Tower from Montessori Equipment here and the lesson here. I think the kids have the most fun with this sensorial material. It has so many extensions and concepts that it easily has seen the most creative reconfigurations out of all of the Sensorial materials. The best is when you are able to pair them with the Cylinder blocks, but even on their own the knobless cylinders give a varied and intricate understanding of the different dimensions and how they can contrast and work together. Check out my review of my Knobless Cylinders from Montessori Equipment here. 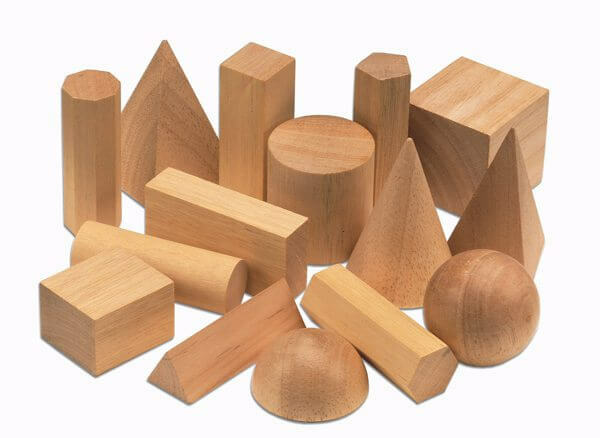 You can alternatively purchase the Learning Resources Viewthru Geometric Solids. 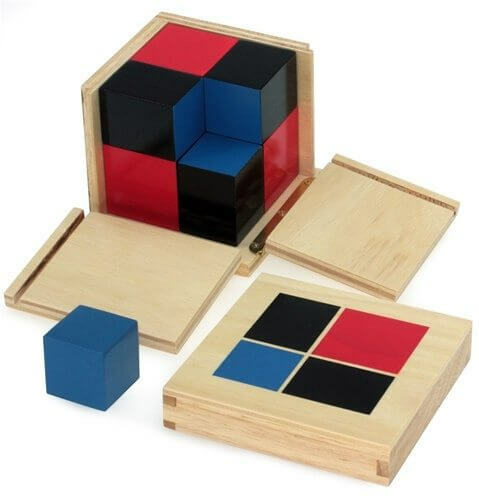 The Binomial Cube is (arguably) the most intricate of the Primary Sensorial Curriculum, and it is revisited in the Elementary Sensorial Curriculum and Elementary Math Curriculum. 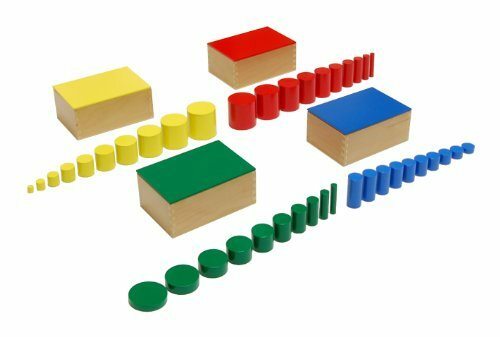 This acts as a bit of a puzzle, but it is the first introduction to an equation and the parts of an equation in the Montessori Curriculum (cubing). Check out my review of my Binomial Cube from Adena here. I honestly believe that if you can purchase the Pink Tower, Knobless Cylinders, Small Geometric Solids, and Binomial Cube that you will be very happy with your purchases (on sale, these four items may even come to less than $100). Your children will get great use out of these materials if presented and used properly. However, if you can add one more item to your purchase, I would add the Cylinder Blocks. The price is hefty, I am not going to play that down — the cheapest I have ever seen a set of the four blocks is $100. But they provide fabulous extensions with the knobless cylinders, provide unparalleled fine motor/pincer grip practice, and train your child’s eyes to perceive incredible visual discrimination — making them the only puzzle you will ever need to buy. 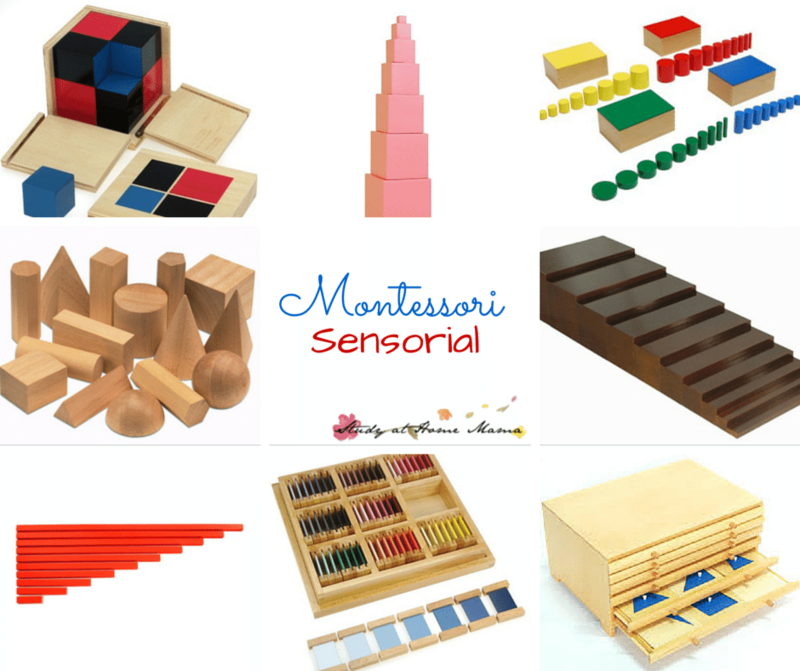 Many of the remaining Montessori Sensorial Materials can be DIYed or replaced with cost-efficient alternatives. What do you think? 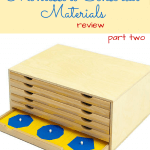 What are your must-have Montessori Sensorial Materials? This is great! I often hear people ask where to start with Sensorial materials. This answers the question perfectly. Very useful information! We are always looking for good-quality and affordable materials. 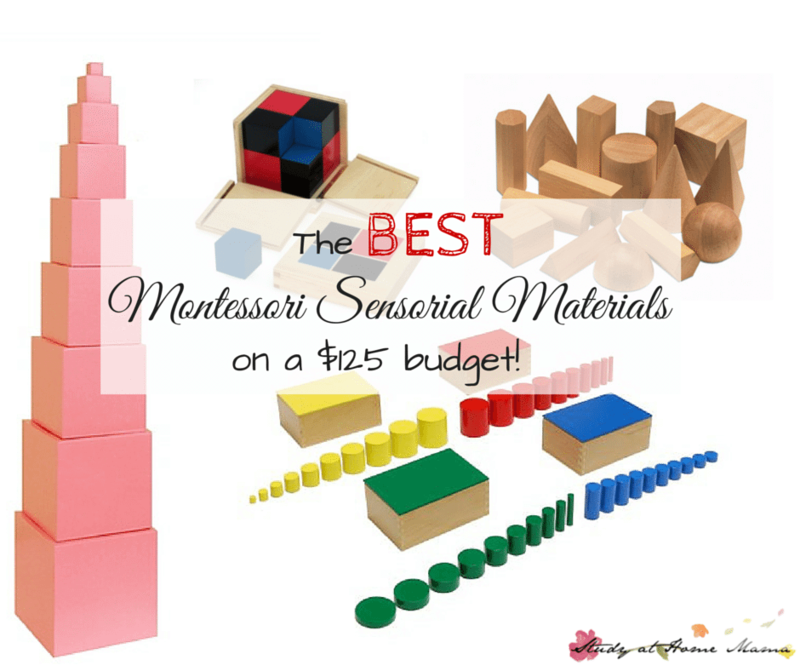 This is a lovely post for what and where to buy sensorial Montessori materials! I love this list and the links to where to purchase on a budget. Thank you! There’s a lot of people asking which Sensorial materials to prioritize on a budget, so this is a great article to address that frequently-asked-question! Awesome post! Just what I needed!! Thank you! Awesome – glad you like it! Love this great collection of sensory toys! I am passing this post along to a friend!! Love it! I love this post Jennifer! The only one thing I will do differently for my child is that I will get the knobbed cylinders for one simple reason, her pincer grip is weak and the full size knob cylinders are great for strengthening this. However, all things being equal, where your child doesn’t have a specific area of need, the knobless cylinders are definitely more diverse and a WHOLE LOT less expensive! Thanks for this post! Allison Montessori now carries a mini version the pink tower and brown stairs, as well as knobbed cylinders. Do you believe these would work just as well or is scale a factor? could the scale aspect be accomplished solely with the Red rods? I’ve seen where the pink tower and brown stair correspond to each other in terms of size. Some of the links here aren’t taking me to the page and the prices have increased in the past couple of years, but I really appreciate the post, it helps a ton. I wish I could find a site with more DIY for the AMI language exercises. I actually think that mini items don’t serve the purpose – for most of these items, the size is very important to it’s function – in both visual size discrimination, feeling the different weights between the blocks, etc. These things are near impossible with the miniature versions/toddler versions. By making these materials “mini” they really only work for their secondary attributes. Karen – did you end up getting the family pack of 20 items? I am curious about the Chinese stroke sandpaper letters! Thank you so much for this informative post for those of us transitioning to Montessori!! My friend just recommended your website because I was wondering which items to prioritize for my next purchase.